Cancer. What an ugly disease. Its insidious and devastating nature is unparalleled in today’s health care landscape. But—believe it or not—I can think of one positive thing to emerge from this otherwise dreadful topic. History has shown that when people have their backs to the wall, they tend to come together. We collaborate. We help each other. We do whatever we can to band together and fight back against the source of our struggle. This week, I found myself thinking a lot about collaboration, teamwork, and the power of the whole being greater than its individual parts. 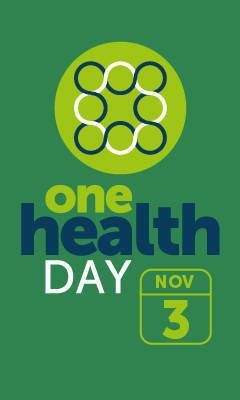 That is because Nov. 3 is One Health Day, an international initiative intended to drive collaboration across healthcare disciplines and improve the health of people, animals, and our environment. We are all better off when we work together, and cancer is a perfect example. Cancer sees no distinction between people and animals. It affects both without discrimination. By the same token, we are all better off combating the disease when human and veterinary medical professionals work together. At PetCure Oncology, the collaboration between human and veterinary medical professionals is literally part of our DNA. Our fearless leader, CEO Scott Milligan, has spent a large portion of his career establishing human radiosurgery centers. When his family’s dog, Juliette, was diagnosed with a nasal tumor, he couldn’t help but feel profoundly frustrated that there was nothing the veterinary community could do for her. Meanwhile, the technology to deliver stereotactic radiosurgery (SRS) was readily available for humans. He knew very well how effective it could be. It was out of that tragedy that PetCure Oncology was born. While SRS is new to veterinary medicine, it has been an integral part of human cancer care for decades. As is often the case, we can take progressive technology from human medicine and make it available for our furry counterparts. Perhaps the human-animal dynamic is more frequently thought of the other way around. Emerging and innovative treatments are often discovered during clinical trials or other research modalities for animals first, allowing humans to benefit from the advances made by veterinarians. Known as “comparative oncology” or “translational research,” both scenarios illustrate how people and pets can simultaneously benefit from evolving cancer care options and help each other along the way. It is critical that physicians, veterinarians, and researchers work together to maximize the impact of their work. As the healthcare community takes time to embrace the big-picture collaboration across species Thursday, pet owners across the country can take comfort in the fact that the battle against cancer is not as lopsided as it used to be. There are a lot of great people doing great work all around the world. Slowly but surely, we are working toward a cure. And we’re doing it together, where everyone wins. This personal blog entry was contributed by Ben Chiswick, PetCure Oncology’s Director of Operations and the proud pet parent of Bandit, a 9-year-old Australian Cattle Dog.